When placing guides is there a way to type in the location where you want the guide. For instance, say you want the guide 3" from the top. Is there a way to type in 3.00 and the guide will go there. 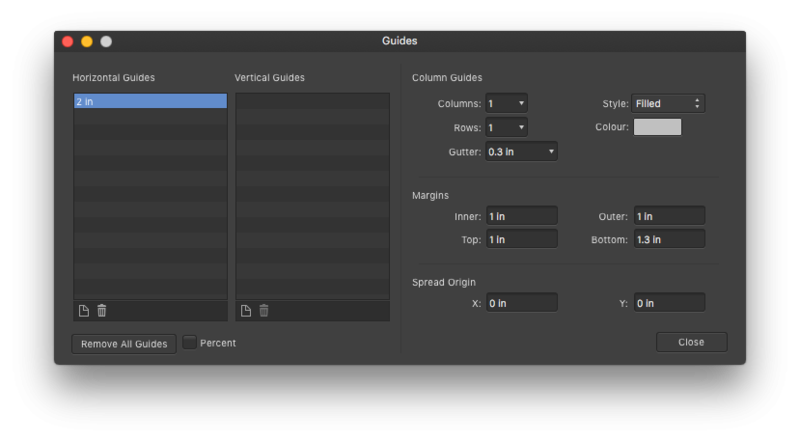 In the resulting dialog box, you'll see the Horizontal Guides and Vertical Guides list windows. 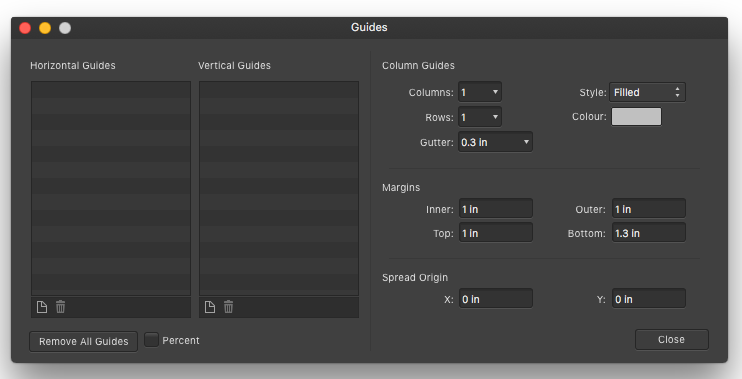 Click on the icons in the lower left of each window to add guides. Double-click on the new items in those windows to edit the default position. See attached images below. cool, thank you. I was sure there was a way to do it but without a real manual right now it kinda hit and miss.